Last year, we've explored the various reasons why Flash may be nearing its sunset. We've also written previously that Google may have put an end to to the popular plugin. Now, the time has finally come for the software to end its reign. Adobe announced in an open letter that it will end the development of Adobe Flash Player by 2020. The software company will stop updating and distributing the freeware, encouraging content creators to move to new open formats. Until then, Adobe will continue providing security updates for Flash, which will still be compatible with the majority of browsers. Most of the major web browsers have already ended their support, including Firefox, Safari and Chrome. Microsoft has announced the same. The preference leans toward HTML5, which improves browser performance, increases security and extends battery life. But as open standards like HTML5, WebGL and WebAssembly have matured over the past several years, most now provide many of the capabilities and functionalities that plugins pioneered and have become a viable alternative for content on the web. Over time, we've seen helper apps evolve to become plugins, and more recently, have seen many of these plugin capabilities get incorporated into open web standards. Today, most browser vendors are integrating capabilities once provided by plugins directly into browsers and deprecating plugins. Microsoft Edge will ask for permission to run the plugin for most sites on a first visit throughout the rest of 2017 and into 2018. User preferences are saved for following visits. By the mid-to-late 2018, Flash will be disabled by default, and by 2020, the ability to run Adobe Flash will be removed from Microsoft Edge and Internet Explorer. During its heyday, Flash took the online world by storm. However, Flash content has been a liability in the past, with attackers introducing malware through unsanctioned back doors. As a result, the number of attacks on both Android devices and PCs has been high. Steve Jobs made the then-shocking announcement on April 2010 that Apple would not support Flash on the iPhone and iPad series. Two major points stand out why Flash is being discontinued. First, newer and better formats for video existed, the second is that Flash has issues with security and performance. Soon enough, more developers followed. It was a bold move for the company at the time given that the software was crucial to many browser-based games and sites, such as YouTube. 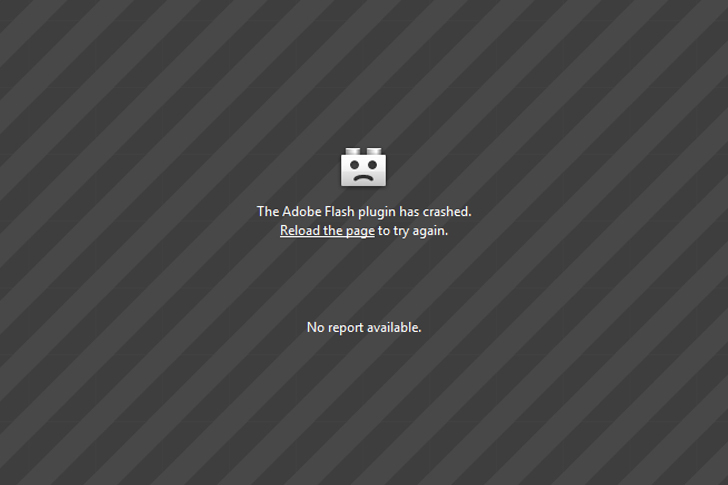 Flash Player has received criticisms for its tendency to accommodate malware despite the changes made by Adobe. HTML5 video player has been adopted more and more as people gave their system security more priority. In Adobe's public statement, the company disclosed that it will work closely with Apple, Facebook, Microsoft, Mozilla and Google to end the distribution of Adobe Flash appropriately. Measures will be taken to ensure a seamless move to other standards.